Of course, when you bought your carpet you didn’t think about how you’ll keep it clean in the long run. But then, one after another, stains started to spread on your carpet like a disease. You tried to clean it yourself, but you failed – you lack both the equipment and knowledge to do it right. And that’s why there are professional carpet cleaning companies out there. Professional carpet cleaning has mind-blowing benefits. For starters, professionals have modern equipment with which they can thoroughly clean not only the surface of your carpets, but also their base, too. And if you call us and book our professional carpet cleaning services, available in Perth, you won’t just have your carpet professionally cleaned with high-tech equipment, but you also won’t have to destroy your savings for it – our services are affordable. 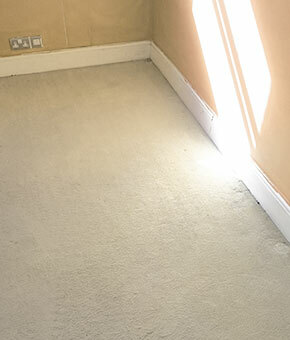 We’re the best carpet cleaning company in Perth because we always aim to improve our services. We are diligent and thorough, we’ll come to your property precisely on time and we won’t leave until we eliminate every stain on your carpet. We are especially proud of our cleaning technicians. They have clean criminal records and experience in carpet cleaning, too. We train them regularly to make sure that whoever of our technicians comes to clean your carpet, you’ll get the same – perfect results without exceptions. We’re using the carpet cleaning method that has been declared best in the fight against persistent stains, dust mites, bacteria and even fungi – deep steam cleaning – hot water extraction. We’ll clean your carpet to perfection without even wetting it, thanks to our modern deep steam cleaner. We’ll also completely deodorize your carpets and, upon your request, we’ll also apply our miraculous SCOTCHGUAR Protector which will make your carpet’s fiber stain-resistant. Call us and book our professional carpet cleaning services today. We’re the best carpet cleaners in Perth and our prices are the most affordable, too.